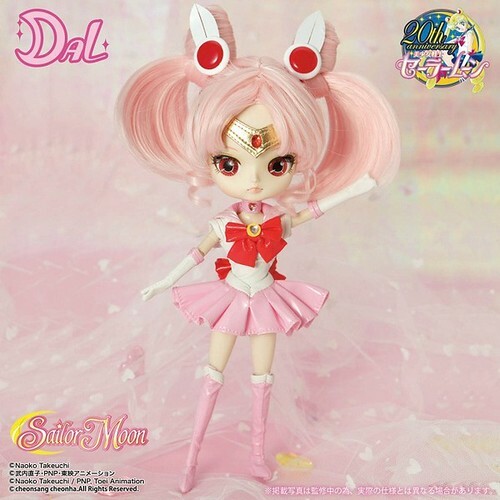 It’s been almost a year since the last Dal was released so I was overjoyed when I found this promo picture of Sailor Chibi-Moon. For those of you unfamiliar with the Sailor Moon series, Chibi-Usa (Sailor Chibi-Moon’s secret identity) is Sailor Moon’s daughter from the future. Not much information is available about the release of Sailor Chibi-Moon but I will be sure to update here when more information does become available. At this point, I assume she is to be released in May and probably end up at the 17000 yen price mark like the other Sailor Moon dolls. Honestly, I think she is adorable and that Groove did a great job translating her design into doll form. I feel like it’s going to be a long wait until the May/June time frame when she gets released. Edit: Groove has just officially announced Sailor Chibi-Moon via their blog, she is set for a late May release and has a MSRP of 17000 yen. 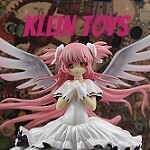 This entry was posted in Dal and tagged Dal, sailor chibi-moon, sailor moon, sailor moon x pullip. Bookmark the permalink. I think the Rozen Maiden series should be done upon the release of Kanaria as they are out of characters to do as dolls (this series is based more on the new anime series/manga Barasuishou was a made up character for the old anime series). I’d love to see some original releases, the closest we have had so far this year is Laura who is a Creator’s Label series. Yh, I really do like Laura, as I always liked seilia’s face up but not her clothes and wig. I would just love some more purely original releases like another original isul, or series like Steampunk alice series! That would be sooooo cool. Do you know if there’s a place where you can send groove your ideas for dolls?